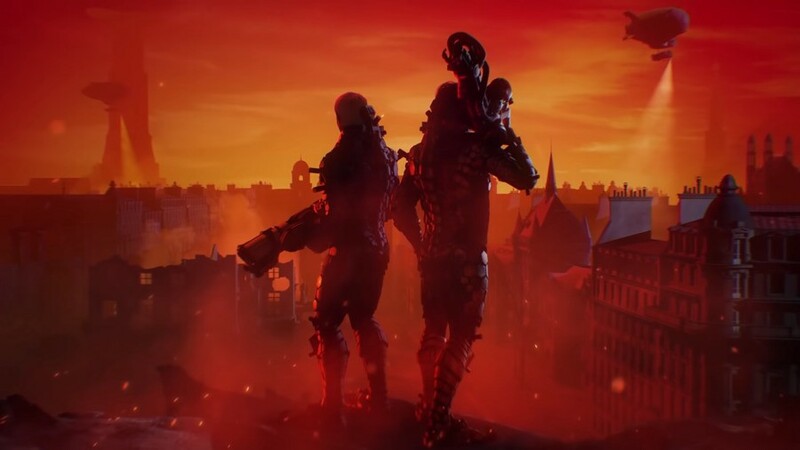 Last June, there was a rumour Wolfenstein: Youngblood would be making its way across to the Nintendo Switch. The idea of this happening came about when a GameStop employee revealed the game was listed for Switch and this followed with it appearing on the company's website. 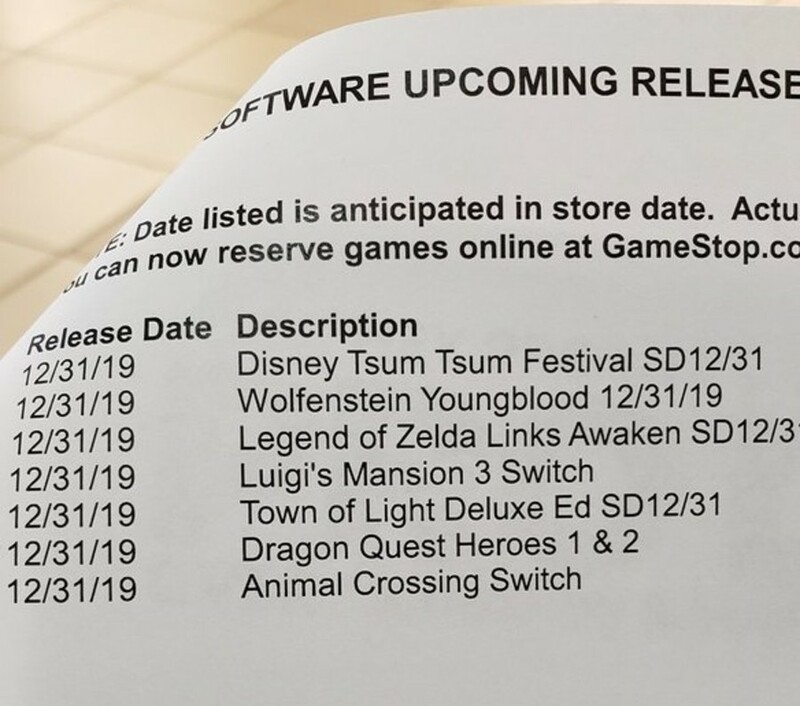 It now seems to have happened again, with a supposed list of upcoming releases for the Switch this year making reference to Youngblood. Bethesda at this stage has not made any official announcements about this standalone Wolfenstein experience coming to Nintendo's new platform. However, Bethesda's Marketing Executive Pete Hines previously teased "the next Wolfenstein" game would, in fact, be coming to the Switch at a panel in October last year. This means the next Switch-bound release is either Youngblood or possibly the third mainline entry in the series. In the same listing, you can see Square Enix's Dragon Quest Heroes I•II. The compilation game was released as a Japanese launch title for Switch and was never localised. The current placeholder date for both titles is 31st December 2019. Do you think these games are likely to be released on the Nintendo Switch in the future? Leave a comment below. Youngblood was already announced for the Switch. Ages ago. eh. game stop says a lot of things. @Wordzero No it wasn't, it's never been officially announced for any console, it was just a lot of vocal people (like me) wanted it on Switch. What is Town of Light? I recently saw a whole video on games being included in lists like this that never happened. A lot of time it's a result of early information that changes, or mistaken assumptions by the people who put the list together in a hurry to get it out. I say always wait for a developer confirmation. @stormthefrontier uh, yes it was. Just google. @Wordzero Where is that quote from? I've just checked and I can't find that quote, there're no platforms mentioned in the trailer and multiple outlets and the dedicated Wolfenstein Wiki say nothing about it coming to Switch. All I could find was Panic Button saying they are open to bringing it to Switch. I got a similar sheet of paper from them last year when I bought Dragon Quest Builders. If I remember correctly, Dragon Quest Heroes 1 & 2 was on that one too. I believe Dragon Quest Heroes has been on that list ever since the Switch launched. Though if it ever does come over, it had best be drastically overhauled to at least maintain a stable framerate. Japanese release nearly looked like a slideshow. @Wordzero Ah I see, well that's good news. I'm suprised it wasn't more widely picked up if Pete Hines said it himself but nevermind. You are correct. It was added to the list back when it came out on launch day and it just keeps getting updated till the end of the year every year. I've been keeping a close eye on it myself. Hopefully the Heroes games have been more well-optimized or something. The framerate in the Japanese demo was almost painful. @StormtheFrontier actually youngnblood is coming to switch. Why does every comment have at least one dislike? It’s not like most of the comments contain anything controversial. @Mrtoad its probably someone who thinks its funny to downvote everyone for the hell of it. @Mrtoad I've noticed that happening on a few articles over the last couple of weeks. It seems we have a serial downvoter in our midst. It's about freaking time they finally bringing them ports of DQH 1 & 2 over if true, being so long too. The hype for those two games are dead now though since I already beat them on PS4 and PS Vita so I won't be dipping on these for Switch unless they had some kind of exclusive contents for these versions. Meh. Game Stop Germany lists Dragon Quest Heroes since the launch of the Switch. 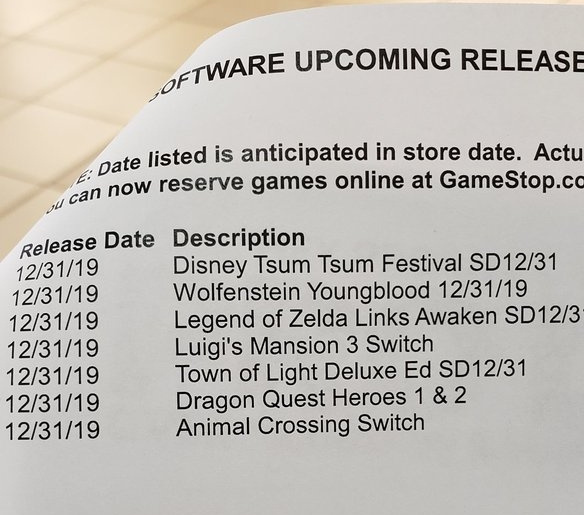 Hopefully link's Awakening and animal crossing comes sooner than dates typed from this list. As someone who put in about 450 hours between Hyrule Warriors and Fire Emblem Warriors, I would definitely be interested in Dragon Quest Heroes getting localized. DQ is one of my favorite series, and with Builders 2 and XI coming this year, makes sense to finally bring Heroes 1+2 over, particularly as it's already been translated. Hoping this is A) true and B) they work on the framerate issues everyone says the Japanese release was plagued with. Did they ever patch the jpn version of DQH? If not I don't have much hope for this version. Thanks, I was searching but couldn't find anything concrete. @Wordzero I read the geek reply article that your google search found and they’re defining taking a leap to assume the game he’s referring to is Youngblood. Dragon Quest Heroes I & II was deemed a bad port, worse than PS Vita one. I wish they fixed it somehow, but if not... I'll just buy it because I'm a big fan of the franchise and have no Sony modern systems, but it's certainly bothering. They’d be stupid not to include the next chapter of Wolfenstein onto the Switch. I have both games on my PS4 and Switch respectively and they are a hoot to play. Veri nice list. I hope it's true. Better games than Wolf 2, and should be easier to port with more consistent resolution and framerate. @Zach777 Probably the full name of Game Freak's new RPG. Don't believe all that you read. Gamestop Ireland has listed Dragon Quest Heroes I & II on its website since the European launch of the Switch console. They still say it's coming soon, but the fact of the matter is that it won't, because it's too expensive for third-party developers to distribute a game of this size (almost 32GB). The Heroes collection is one of the main reasons that I bought the Switch initially, but the fact that we never even got a localized digital version means that it's the expensive Japanese version ($70) or nothing. The new Wolfenstein will be a day one for me. I held off on the other one on Switch but enjoyed it so much. I was also under the impression that it was a given release for Switch. Ehhhh DQ Heroes 1+2? No thanks. Did any of you watch the digital foundry video break down on the Switch game? It was a very very quick and even more very dirty conversion. It plays as bad or worse than the lower powered Vita release does, graphics, audio, everything has problems. S-E at that point had no faith in Nintendo and shoveled a hot turd just to make a quick buck. @adh56 there’s multiple articles about Youngblood specifically. If be happy to get DQ Heroes 2 on Switch. Fun multiplayer game that would work quite nicely on Nintendo’s system.